The Margate Business Association and the City of Margate will ‘Bag it Forward’ to keep plastic bags out of the waste stream. From left, Colin Fuentes and MBA Executive Director Anna Maria Blescia-Courter. The Margate Business Association and Margate City announced today that they will “Bag it Forward” to step up the business community’s stewardship of the local environment. Bag it Forward is a new program that has participating merchants distributing thousands of reusable shopping bags to the community at no cost to the consumer. The only provision is that patrons either reuse the bags or return them to any participating MBA member businesses for reuse, according to a release. The plan is to distribute more than 10,000 reusable bags and minimize the use of single-use plastic bags in Margate. Although the city has not passed any legislation banning the use of single-use bags, nor has it imposed a fee on bags like neighboring Ventnor and Longport, the Bag it Forward provides a green alternative that does not cost the shopper and business any additional money. 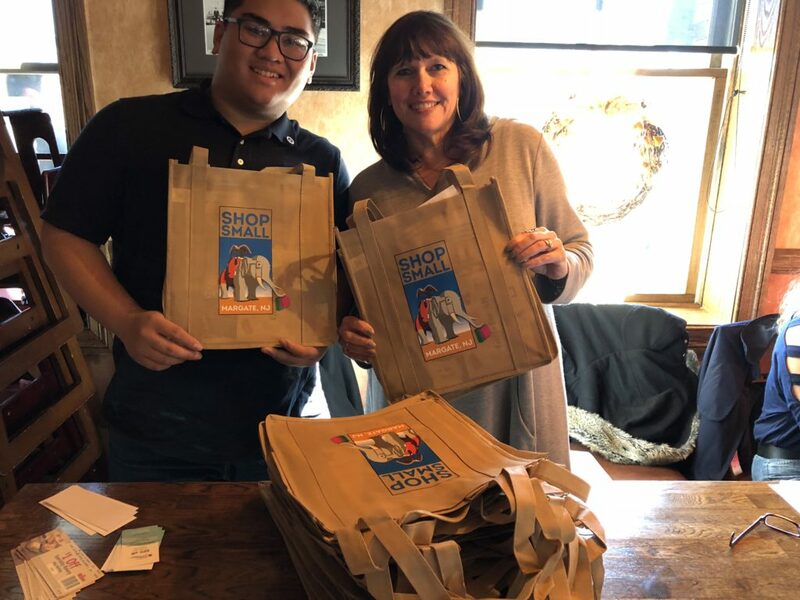 Dr. Joseph Berretone of Down Beach Dental, Tomatoe’s Restaurant and Colmar Hardware have agreed to underwrite the initial cost of purchasing these eco-friendly fabric bags, which are scheduled to be distributed starting in early spring. To ensure the continued distribution of the reusable bags, additional businesses are being asked to become sponsors.